Ah, memory foam! Memory foam is considered a luxurious type of pillow due to its unique plush, yet firm feel. However, you often have a pay a pretty penny for them. 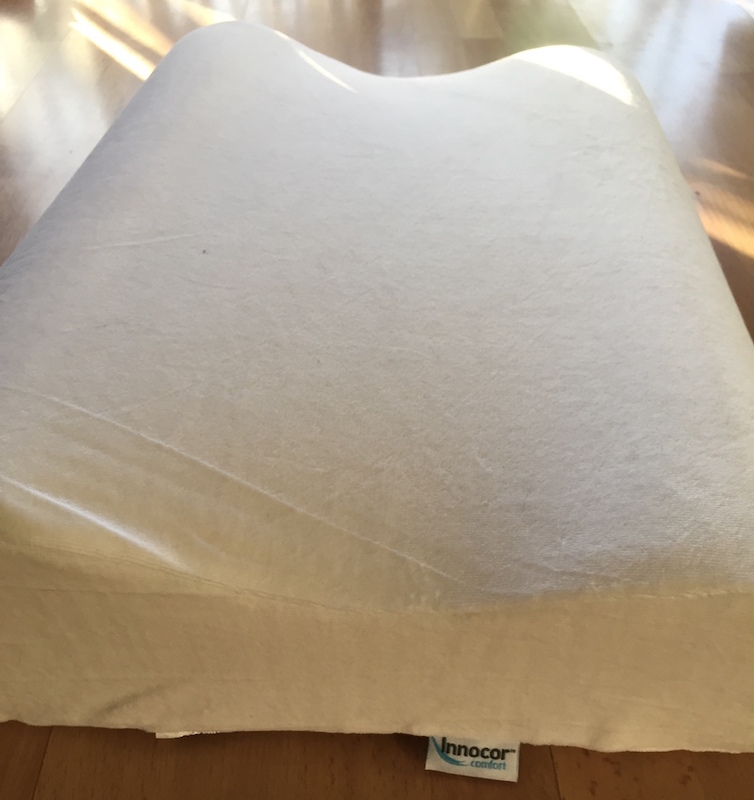 Luckily, the Innocor Comfort Memory Foam Pillow starts at $27, and advertises its ability to cradles your head and neck with therapeutic support, helping you sleep in a healthy and restful position. Its design allows for proper spinal alignment to help provide pain relief, reduce snoring, and even help with stress. I slept on this pillow for a week to see how it felt for me. Continue reading to find out, or scroll to the bottom for a quick summary on my experience. When I first opened up this pillow, I noticed right away that the cover is so soft. The cover turns out to be made of microfiber felt, that can be detachable with a zipper and machine washed and dried. Inside is the memory foam. Memory foam is also referred to as visco elastic foam, which means it is foamed polyurethane (a large molecule with repeated subunits) that has additional chemicals to increase its density and viscosity. 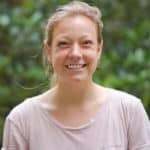 That’s what gives memory foam its soft, spongy, yet firm shape; at high densities, memory foam reacts to body heat, which allows it to conform and mold itself to your head and neck. This pillow is slightly contoured, meaning it dips a bit in the middle and has two raised edges on each side, allowing your neck to be cradled at night while supporting your shoulder blades. 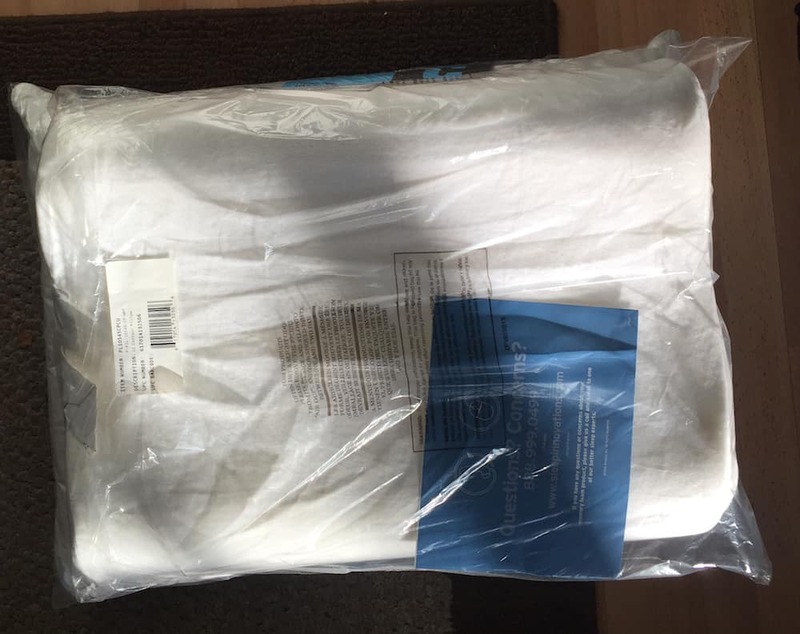 The fact sheet that came with the pillow explained how the memory foam might feel extra hard because it is naturally sensitive to temperature changes. In the cold, winter months, you might want to air it out and let it reach room temperature so it softens up a bit. I was also warned of a potential odor, which is referred to as a “Fresh Foam” odor and is not harmful. The odor should dissipate within 72 hours from when the foam is unpacked and aired out, yet I didn’t smell anything when I first opened my pillow up. As far as cleaning goes, it’s strongly encouraged you don’t put memory foam into the washer or dryer—the strong force of either machine could break up the pillow’s padding and weaken it over time. Instead, wash this pillow by hand—use warm water and mild soap. For drying, place it in a well-ventilated area until it is dry. You can also hang it out, especially if it’s a nice and sunny day. Looking for your perfect pillow? Check out my best pillow picks. Comes with a five year warranty! When I first removed the pillow from its plastic packaging, I was delighted right away. Like I mentioned before, I ran my hand over the super soft microfiber felt cover, and then played around with opening the zipper and feeling the texture of the actual memory foam. This pillow seems to be going for a “Tempur-pedic” feel without the hefty price tag, and so far I found the memory foam to feel quite similar to other, more expensive models. However, this pillow doesn’t seem to be as dense or heavy as other memory foam, but in my experience it still led to a restful night’s sleep. 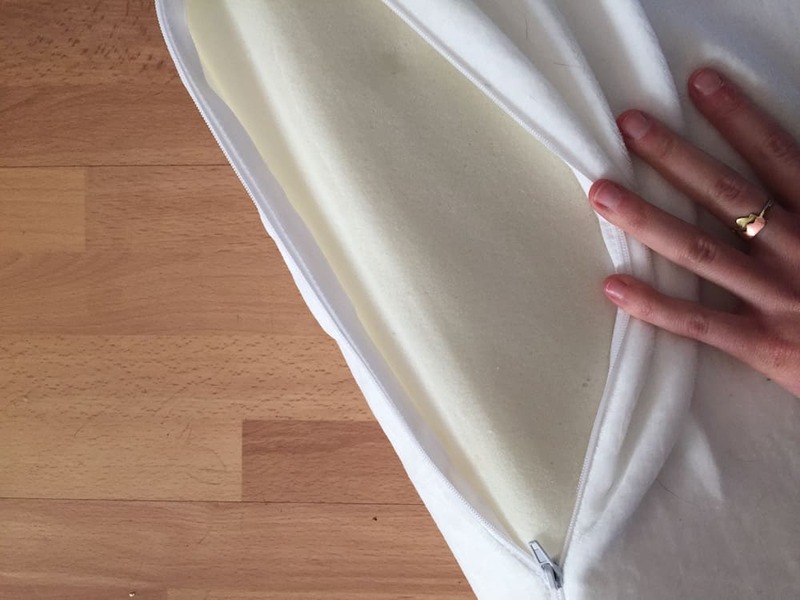 The pillow uses “open cell” memory foam, which promotes good air circulation and prevents it from getting too hot or too cold— something dense, memory foam is susceptible to. When I first laid my head on Innocor Comfort Memory Foam Pillow, I noticed how it nails the “soft but supportive” feel I love when sleeping. I typically enjoy, and sleep on, firm pillows, but the softness and smoothness of this pillow made it a lot easier to adjust to than other types of pillows. 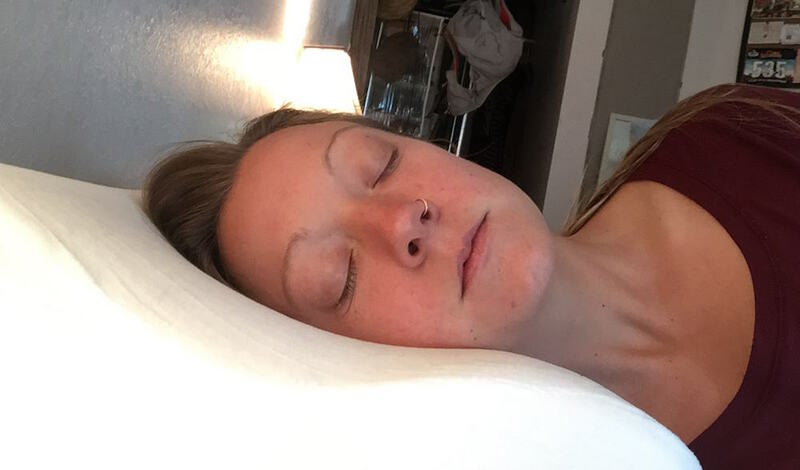 The pillow has the perfect amount of “give”—during the night, my head never sank too far down into the pillow, leaving the right amount of space between my head and my shoulder to keep my neck free of any stiffness. 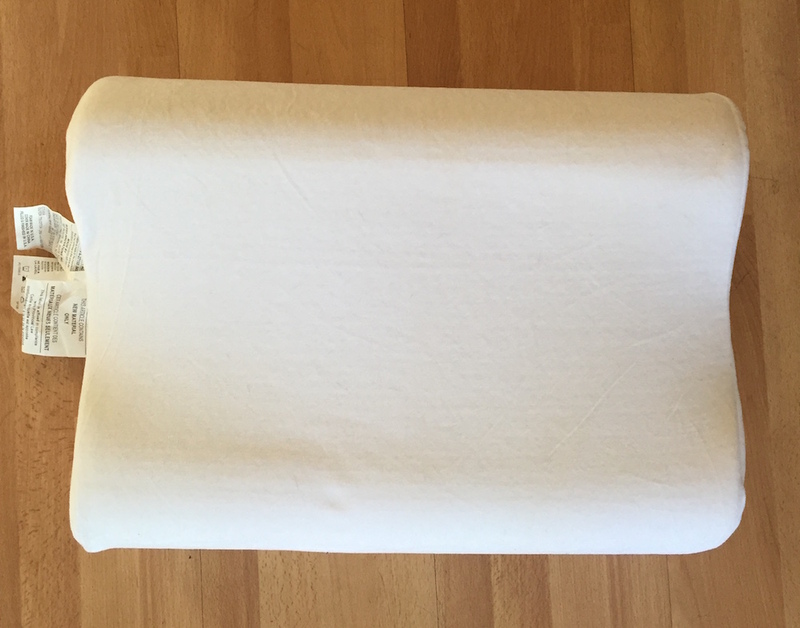 It didn’t get too hot at night, and even when I rolled around at night, the memory foam was (literally) able to “bounce back” and provide the new support I needed when changing sleep positions. Overall, I slept great on this pillow, something that doesn’t always happen on Night 1 of any new pillow experience. I continued to use it for an entire week, and quickly realized this pillow found a new, permanent home on my bed. 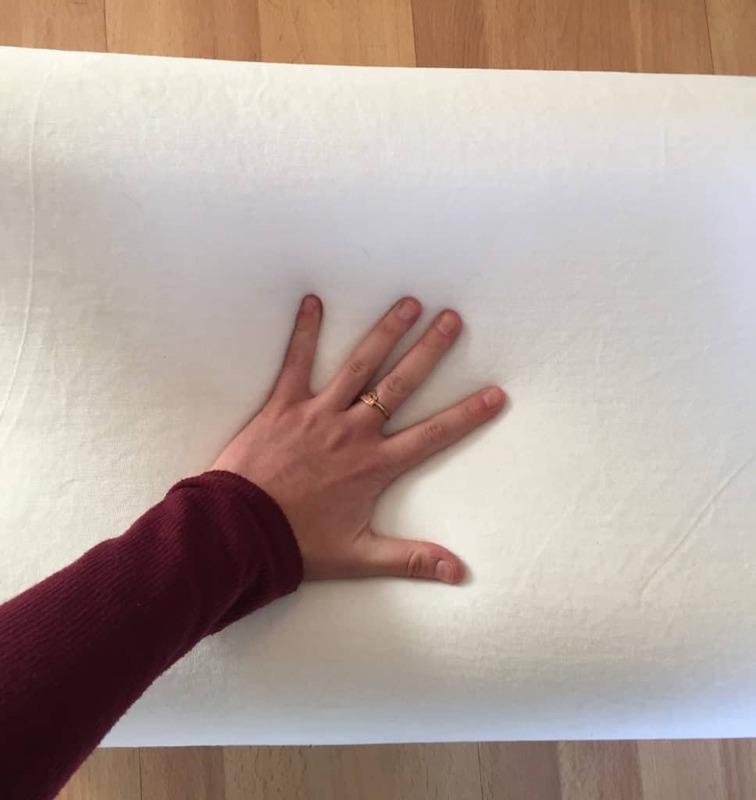 You’re on a budget – Memory foam pillows are usually more pricey than others types of pillows, but this pillow provides the same high-quality feel to most memory foam without the fancy price tag. The “Regular” size starts at under $30, which is a steal compared to other pillows. You toss and turn a lot – The contoured, curved design of this memory foam pillow means it promotes not only special, adaptable support to your head, neck, and spine, but can help cradle any sleep position. It supports the shoulders of side sleepers, and the neck of back and stomach sleepers, meaning it’s a solid choice for all sleep positions. You prefer firm pillows – While the Innocor Comfort Memory Foam Pillow is a bit less dense than other memory foam pillows, it still is not soft. This pillow is fairly firm, so if you like things really, really soft and cushiony, you might want to look elsewhere.